Every cell in our body is bathed in an external and internal environment of fluctuating invisible magnetic forces that can affect virtually every cell and circuit in biological systems. Therefore, it should not be surprising that numerous physiological rhythms in humans and global collective behaviors are not only synchronized with solar and geomagnetic activity, but disruptions in these fields can create adverse effects on human health and behavior. The most likely mechanism for explaining how solar and geomagnetic influences affect human health and behavior are a coupling between the human nervous system and resonating geomagnetic frequencies, Schumann resonances, which occur in the earthionosphere resonant cavity, Alfven waves and other very low-frequency resonances. It is well established that these resonant frequencies directly overlap with those of the human brain, cardiovascular and autonomic nervous systems. In order to conduct research on the potential interactions between human health and behavior, a global network of 12 ultrasensitive magnetic field detectors, specifically designed to measure the earth’s magnetic resonances, are being installed strategically around the planet. An important goal of the project is to motivate as many people as possible to work together in a more coherent and collaborative manor to elevate collective human consciousness. If we are persuaded that not only external fields of solar and cosmic origins, but also human consciousness and emotion can affect the mental and emotional states of others’ consciousness, it broadens our view of what interconnectedness means and how it can be intentionally utilized to shape the future of the world we live in. It implies that our attitudes, emotions and intentions matter and that coherent, cooperative intent can have an important influence on global events and the quality of life on Earth. The Global Coherence Initiative (GCI) was launched by HeartMath Institute in 2008. It is a science-based, co-creative initiative that has the goal to unite millions of people globally in heart-focused care and intention. GCI employs several strategies to help increase personal, social and global coherence. An internetbased network connects people globally who want to participate in creating a shift in global consciousness. In 2015, over 160,000 people in 154 countries were involved in the initiative. Members of GCI, known as GCI ambassadors, receive regular updates informing them where to direct their energetic contributions of heart-focused care and intention. GCI also helps to educate the global community by providing tools and technologies for increasing individual, social and global coherence. Large numbers of people creating heart-centered states of care, love and compassion will generate a more coherent field environment that can benefit others and help offset the current planetarywide discord and incoherence. 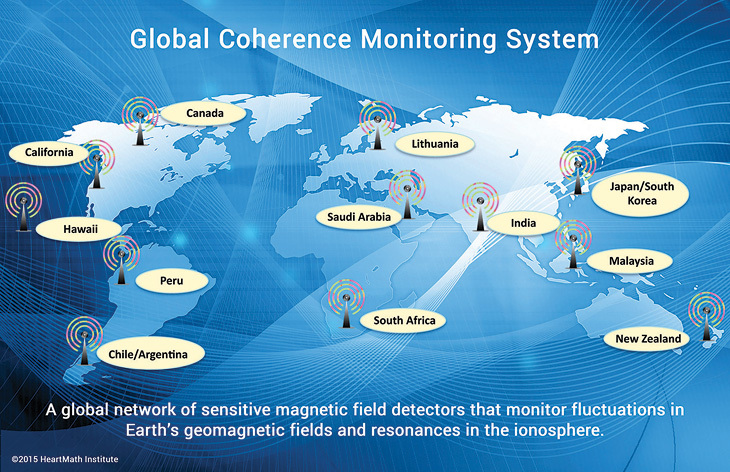 The Global Coherence Monitoring System (GCMS) gathers scientific data on Earth’s electromagnetic fields, with state-of-the-art magnetometers located on suitable sites around the world. GCI uses the GCMS to measure and explore fluctuations and resonances in the earth’s magnetic fields and in the earth-ionosphere resonant cavity in order to conduct research on the mechanisms of how the earth’s fields affect human mental and emotional processes, health and collective behavior. In addition, we hope to investigate whether changes in the earth’s magnetic fields occur before natural catastrophes such as earthquakes, volcanic eruptions and human events such as social unrest and terrorist attacks. Figure 11.1 Existing and proposed locations for the global network of monitoring sites as of fall 2015. These sites are specifically designed to measure the magnetic resonances in the earth/ionosphere cavity, resonances that are generated by the vibrations of Earth’s geomagnetic field lines, and ultra-low frequencies that occur in the earth’s magnetic field. This system is the first global network of GPS time-stamped detectors designed to continuously measure magnetic signals that occur in the same range as human physiological frequencies such as the brain and cardiovascular systems. A total of 12 magnetometers are planned to complete the global network. Each GCMS site includes ultrasensitive magnetic field detectors specifically designed to measure the magnetic resonances in the earth/ionosphere cavity, resonances that are generated by the vibrations of the earth’s geomagnetic field lines and ultra-low frequencies that occur in the earth’s magnetic fields, all of which have been shown to affect human health, mental and emotional processes and behaviors. Each monitoring site detects the local alternating magnetic field strengths over a relatively wide frequency range (0.01-300 hertz) while maintaining a flat-frequency response. There are several networks of ground-based fluxgate magnetometers around the world, along with several space weather satellites, which measure the strength of the earth’s magnetic fields and geomagnetic disturbances (Kp). The GCI monitoring system helps us better understand how people and animals are affected by the rhythms and resonant frequencies in Earth’s magnetic field as well as enabling us and other researchers to better understand the interconnections between solar and other external forces on the planetary magnetic field environment. Figure 11.2 shows a photo of the monitoring site located in Boulder Creek, California. At the time of this writing, six sites were operational. They are located at the HeartMath Research Center in Northern California, the eastern province of Saudi Arabia, Lithuania, Canada, North Island of New Zealand, and the east coast of South Africa. 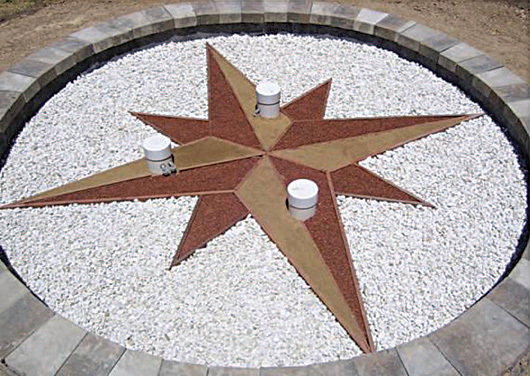 Figure 11.2 The monitoring site at the HeartMath Research Center, located in Boulder Creek, California. The data acquisition infrastructure captures, stamps with time and global positioning data, and transmits the data to a common server. In addition, each site has a random number generator (RNG) that is part of the Global Consciousness Project (GCP) network. The monitoring system tracks changes in geomagnetic activity due to solar storms, changes in solar wind speed, disruption of Schumann resonances (SR) and, potentially, the signatures of major global events that have a strong emotional component. A growing body of data also suggests that changes occur in ionospheric activity before earthquake activity. [340, 341] We make our data freely available to other research groups who may wish to explore how it may be utilized to predict earthquakes and other events. Thus, the network will provide a significant research tool to further understand how solar and geomagnetic disturbances and rhythms affect human health, emotions, behaviors and consciousness and vice versa. EEG patterns, heart rate, blood pressure and reaction times were measured in a group of people by Doronin et al. The authors noted that the oscillations in the magnetic field data had identical periods in the monitored EEG alpha rhythm. This confirms that whole-body changes occur in conjunction with geomagnetic activity which are reflected in changing heart and brain rhythms. Another study by Pobachenko et al, monitored the Schumann resonances (SR) and the EEG in a frequency range of 6 to 16 hertz simultaneously. During a daily cycle, individuals studied showed variations in the EEG similar to changes in the SR. Hence, the biological EEG rhythm is characteristic of the daily rhythm of the SR. The lowest frequency SR is approximately 7.83 hertz, with a daily variation of about ± 0.5 hertz. The other frequencies are ~ 14, 20, 26, 33, 39 and 45 hertz. 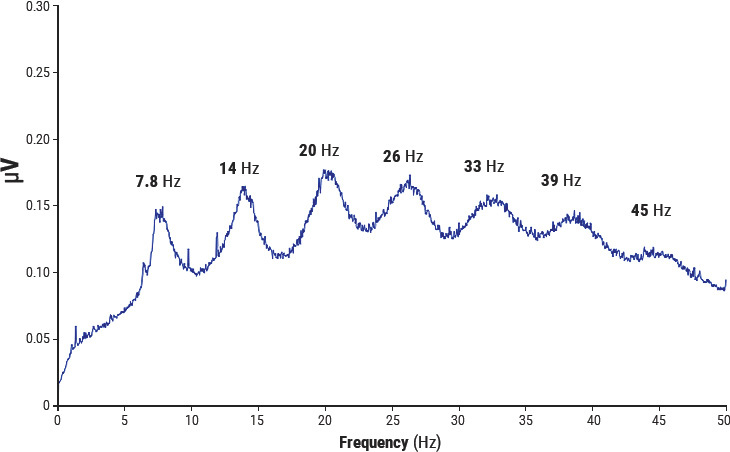 Figure 11.3 shows the frequencies of the SR, which are closely overlapping with alpha (8 to 12 hertz), beta (12 to 30 hertz) and gamma (30 to 100 hertz) brain waves. Figure 11.3 Schuman resonance data recorded from the GCI sensor site in Boulder Creek, Calif.
Because the brain is a very sensitive electromagnetic organ, changes in geomagnetic activity and SR intensities appear to alter brain-wave and neurohormone responses. Geomagnetic storms are also related to human health effects and death. [349, 350] Altered EEG rhythms have been observed by Belov et al. While low-frequency magnetic oscillations (around 3 hertz) had a sedative effect in the Pobachenko et al. study, stronger oscillations of around 10 hertz stresses and stimulates people. Birthrates were observed in the Pobachenko et al. study to drop and mortality rates to increase during increased solar and geomagnetic activity (GMA), and migraine attacks could be triggered. Persinger and Halberg have independently shown that war and crimes were correlated to GMA. Additionally, research has indicated that an increase in magnetic Pc frequencies (continuous pulsations), can affect the human cardiovascular system because Pc-1 frequencies are in a comparable range with those of the human cardiovascular system and rhythms. Historically, many cultures believed their collective behavior could be influenced by the sun and other external cycles and influences. This belief has proven to be true. On a larger societal scale, increased violence, crime rate, social unrest, revolutions and frequency of terrorist attacks have been linked to the solar cycle and the resulting disturbances in the geomagnetic field. [345, 359, 368-371] The first scientific evidence of this belief was provided by Alexander Tchijevsky, a Russian scientist who noticed that more severe battles during World War I occurred during peak sunspot periods. He conducted a thorough study of global human history dating back to 1749 and compared the period to the solar cycles through the period, up to 1926. 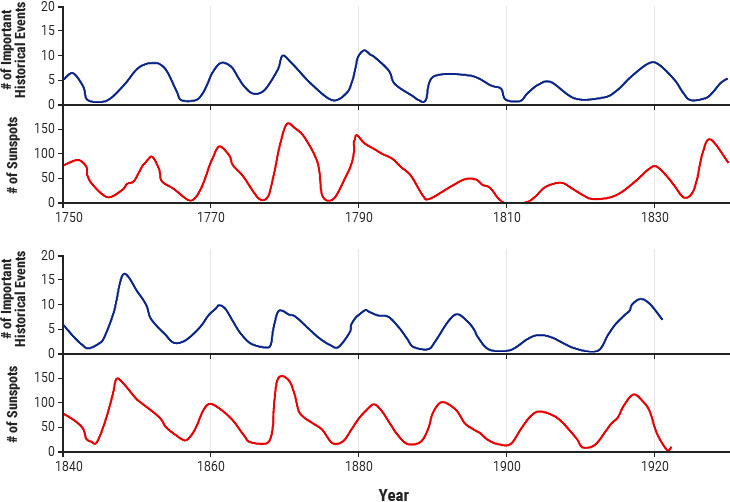 Figure 11.4, reconstructed from Tchijevsky’s original data, plots the number of significant human historical events compared to the solar cycle from 1749 to 1926. Figure 11.4 Tchijevsky’s original data. The blue line plots the yearly number of important political and social events such as the start of a war, social revolutions, etc. The red line plots solar activity, as indicated by the number of sunspots from 1749 to 1922. The histories of 72 countries were compiled, and it was found that 80% of the most significant events occurred during the solar maximum, which correlates with highest periods of geomagnetic activity. Solar activity, in addition to being associated with social unrest, also has been related to the periods of greatest human flourishing with pronounced spurts in architecture, arts, science and positive social change. We can learn from past mistakes and consciously choose new ways of navigating energy influxes to create periods of human flourishing and humanitarian advances. When outdated structures that do not serve humanity collapse, an opportunity opens for them to be replaced with more suitable and sustainable models. Such positive change can affect the political, economic, medical and educational systems, as well as relationships of individuals at work and home and in communities. At times of such heightened energy influx, we have the greatest opportunity to create positive change in our world. We can learn from past mistakes and consciously choose new ways of navigating energy influxes to create periods of human flourishing and advances. It is well established that the earth and ionosphere generate a symphony of resonant frequencies that directly overlap with those of the human brain and cardiovascular system. The central hypothesis is that changes in these resonances can in turn influence the function of the human autonomic nervous system brain, and cardiovascular system. Data and results from the Interconnectedness Study were presented in McCraty et al., 2012. In 2010, 1,643 Global Coherence Initiative members from 51 countries completed a twice-weekly survey at random times six days each week over a six-month period. The survey contained six valid scales: positive affect, wellbeing, anxiety, confusion, fatigue and physical symptoms. The survey data were subjected to correlation analysis with a number of planetary and solar activity variables such as solar wind speed, magnetic field and plasma data, measures of energetic protons, solar flux and geomagnetic activity indices. When solar wind speed, Kp, Ap (Kp and Ap magnetic indices were designed to describe variations in the geomagnetic field) and polar cap activity increased, positive affect among the participants decreased. Well-being scores were negatively correlated with solar wind speed, Kp-index, Ap-index and polar cap magnetic activity. Thus, when solar wind speed increased and the geomagnetic field was disturbed, the levels of fatigue, anxiety and mental confusion increased. The study also resulted in some unexpected findings. For example, the solar radio flux index was positively correlated with reduced fatigue and improved positive affect, indicating there are mechanisms that improve human well-being that are not yet fully understood. Clearly, additional research needs to be conducted in order to understand the effects of the various variables and the time sequence of their effects. Data collected by our magnetometers in different locations is providing some new insights into globally correlated activity and significant local differences. 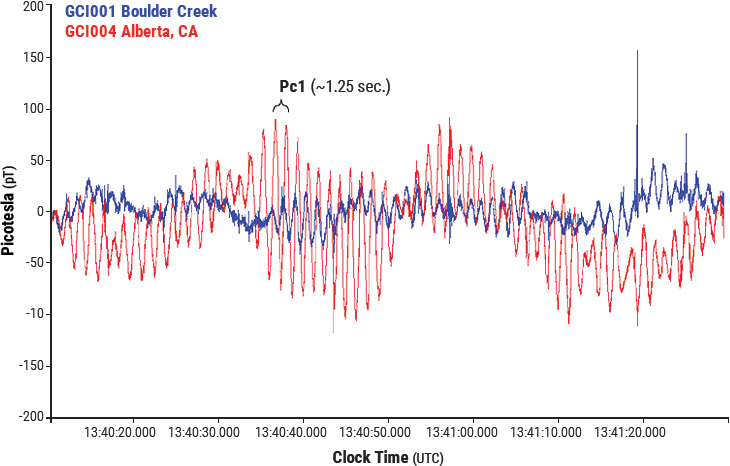 Figure 11.5 Simultaneously recorded data from Boulder Creek, Calif. and Alberta, Canada, sites. Figure 11.5 shows an example of Pc 1 activity detected at the California and Canada sites. While the Pc 1 data in Canada displays a greater amplitude, and while most of the rhythm is synchronized, there are periods in which it is ~ 180 degrees out of phase. Further data processing is currently under way to examine other parameters in greater depth, such as longitudinal and latitudinal parameters, time of the day and other solar and geomagnetic parameters and their implications on human health indicators. Among physical environmental variables affecting biological processes and human health, the natural variation in the geomagnetic field in and around the earth reportedly has been involved in relation to several human cardiovascular variables. These include blood pressure, heart rate (HR) and heart rate variability (HRV). [375, 376] Although there is mounting evidence for such effects, they are far from being fully understood. Several studies have found significant associations between geomagnetic storms and decreased heart rate variability (HRV), indicating a possible mechanism linking geomagnetic activity with increased incidents of coronary disease and myocardial infarction. [350, 352, 355] One study that analyzed weeklong recordings found a 25% reduction in the VLF rhythm during magnetically disturbed days, compared to quiet days. The LF rhythm also was reduced significantly, but the HF rhythms were not. In order to further investigate the potential correlations between solar and magnetic factors and HRV, we undertook a collaborative study with Dr. Abdullah A. Al Abdulgader, director of Prince Sultan Cardiac Center in Al Ahsa, Saudi Arabia, spanning a five-month period. A total of 960 24-hour HRV recordings were obtained from a group of 16 women aged 24 to 31 (mean age 31). HRV data was collected for 24 hours a day, three consecutive days each week over five months with HRV recorders between March and August of 2012. The HRV measures assessed were the interbeat-interval (IBI), SDNN, RMSSD, total power, very-low-frequency (VLF), low-frequency (LF) and high-frequency (HF) power, and the LF/HF ratio. The solar activity and magnetic variables were: solar wind speed, Kp and Ap index, PC(N), sunspot number, solar radio flux (f10.7), cosmic rays, Schumann resonance integral (area under the curve around 7.8 hertz) and the mean and standard deviation (SD) of the timevarying magnetic field data collected at GCI sites in Boulder Creek, Calif. (GCI 1) and Al Ahsa, Saudi Arabia (GCI 2). The mean and standard deviation were computed hourly. The mean field variation reflects ultralow frequency changes and SD, which is highly correlated with total spectral power and reflects overall variance in the field. Circadian effects were removed from both environmental and HRV variables. For each of the 16 study participants, a correlation matrix was calculated between each environmental and HRV variable. Overall, the study confirms that autonomic nervous system activity as reflected by HRV measures is affected by solar and geomagnetic influences. All of the HRV measures, with the exception of IBIs, were negatively correlated with solar wind speed, and LF and HF power were negatively correlated with the magnetic field mean data collected from the Saudi Arabia site, but not the California site, suggesting that local measurements are important. Surprisingly, there were a number of positive correlations. The f10.7 index was correlated with increased HRV in all measures with the exception of the SD of the HRV and IBIs. The SD of the magnetic field variation from both the Saudi Arabia and California sites was positively correlated with RMSSD and HF power, both of which reflect parasympathetic activity, and Schumann resonance power was positively correlated with the IBIs. Although there were a number of global correlations, at the individual level, the HRV responses varied and in some cases different individuals showed different responses to the same environmental variable. When looking at the data from both the Interconnectedness Study and the HRV data, it is clear that when the earth’s magnetic field was calmer or the solar radio flux was increased, the study participants felt better, were more mentally and emotionally stable and had higher levels of HRV. Conversely, when the magnetic field was disturbed, HRV was lower and participants’ emotional well-being and mental clarity were adversely affected. Figure 11.6 shows an example of healthy participants HRV-HF power plotted along with the total magnetic power spectrum from the magnetometer site in California over a 30-day period. This data is from a study of 10 participants located in northern California whose HRV was continuously monitored over a 30-day period. The magnetic field data in the plot, which is inversely correlated, has been inverted in the plot to help illustrate the visual correlation, which can be clearly seen in the graph. Figure 11.6 Example of one participant’s high-frequency power derived from the individual’s HRV and the total power of the time varying magnetic field at the California site over a 30-day period. The evidence that human health and behavior are globally influenced by solar and geomagnetic activity is relatively strong and convincing. We also have shown in our laboratory that the electromagnetic field of an individual’s heart can be detected by nearby animals or the nervous systems of other people. (Also, see the Energetic Communication chapter in this document). GCI hypothesizes that the earth’s magnetic fields are carriers of biologically relevant information that connect all living systems. Thus, we each affect the global information field. There is experimental evidence that human bioemotional energy can have a subtle, but significant (scientifically measurable) nonlocal effect on people, events and organic matter. It is becoming clear that a bioelectromagnetic field such as the ones radiated by the human heart and brain of one person can affect other individuals and the "global information field environment." For example, research conducted in our laboratory has confirmed the hypothesis that when an individual is in a state of heart coherence, the heart radiates a more coherent electromagnetic signal into the environment and that individual is more sensitive to detecting the information in the fields radiated by others. Of all the organs, the heart generates the largest rhythmic electromagnetic field, one that is approximately 100 times stronger than the one the brain produces. This field can be detected several feet from the body with sensitive magnetometers. This magnetic field provides a plausible mechanism for how we can "feel" or sense another person’s presence and emotional state independent of body language or other factors. We also have found there is a direct relationship between the heart-rhythm patterns and the spectral information encoded in the frequency spectra of the magnetic field radiated by the heart. Thus, information about a person’s emotional state is encoded in the intervals between the heartbeats, which is communicated throughout the body and into the external environment. In a study on interpersonal effects of nonverbal compassionate communication, measuring psychophysiological effects, Kemper and Shaltout found significant changes in the receiver’s autonomic nervous system. A growing body of evidence suggests that an energetic field is formed among individuals in groups through which communication among all the group members occurs simultaneously. In other words, there is an actual "group field" that connects all the members. Morris  studied heart coherence in a group setting: He investigated how people trained in maintaining states of heart coherence for several minutes might influence participants untrained in heart coherence. The results showed that the coherence of untrained participants was indeed promoted by participants in a coherent state. Further support for the hypothesis that magnetic fields are carriers of biologically relevant information comes from a study conducted by Montagnier et al. Montagnier discovered that epigenetic information related to DNA could be detected as electromagnetic signals in a highly diluted solution and that this information could be transferred to and imprinted in pure water that had never been exposed to DNA. Furthermore, this information can instruct the re-creation of DNA when the appropriate basic constituents of DNA are present and extremely low electromagnetic frequency fields of 7.8 hertz are present. They also showed that the presence of the magnetic field was needed for the information transfer to occur.The authors also state, a very low electromagnetic frequency field that transfers DNA information could come from natural sources such as the Schuman resonances (SR), which start at 7.83 hertz. Michael Persinger, a well-known neuroscientist, also has conducted numerous studies examining the effects of magnetic fields with the same magnitude as the geomagnetic field on brain functions and information transfer. [349, 364] Not only has he shown that applying external fields similar to the SRs can induce altered states of consciousness, but he also has suggested in a detailed theory that the space occupied by the geomagnetic field can store information related to brain activity and that this information can be accessed by the human brain. Persinger also suggests that the earth’s magnetic field can act as a carrier of information between individuals and this information, rather than the signal intensity, is important for interaction with neural networks. The above findings clearly support part of our hypothesis: The earth’s magnetic fields are carriers of biologically relevant information. We are further suggesting that because humans have brain and heart frequencies overlapping the earth’s magnetic field , not only are we receivers of biologically relevant information, but these frequencies also can couple information to the earth’s magnetic fields and thus feed information into the global field environment. Our fourth hypothesis states: Large numbers of people creating heart-centered states of care, love, and compassion will generate a more coherent field environment that can benefit others and help offset the current planetarywide discord and incoherence. There also is a substantial body of evidence indicating interactions between human emotions and a global field when large numbers of people have similar emotional responses to events or organized global peace meditations. [383-385] For example, quantum physicist John Hagelin, has conducted research on the power of the collective and concluded: "Since meditation provides an effective, scientifically proven way to dissolve individual stress and if society is composed of individuals, then it seems like common sense to use meditation to similarly diffuse societal stress." Former Princeton University Professor Roger Nelson, chief scientist of the Global Consciousness Project (GCP), provided further evidence of an interconnection between collective human emotionality and global events. GCP maintains a worldwide network of random number generators, (RNG) which produced results that suggest that human emotionality affects the randomness of these electronic devices in a globally correlated manner. Nelson said of the project: The GCP is a long-term experiment that asks fundamental questions about human consciousness. It provides evidence for effects of synchronized collective attention – operationally defined global consciousness – on a world-spanning network of physical devices. There are multiple indicators of anomalous data structure, which are correlated specifically with moments of importance to humans. The findings suggest that some aspect of consciousness may directly create effects in the material world. This is a provocative notion, but it is the most viable of several alternative explanations. Nelson also found clear evidence that larger events, defined by the number of people engaged and their level of "importance," produces larger effects on the global network. An interesting finding is a significant correlation between global events that elicit a high level of emotionality from a large part of the world’s population and periods of nonrandom order generated by the RNGs. For example, multiple independent analyses of the network during the terrorist attacks that took place in the United States on the morning of Sept. 11, 2001 correlate with a large and significant shift in the output of the global network of RNGs. Although the mechanisms for how human emotions create more coherence in the randomness of this global network are not yet understood, the data clearly show that they do have such affects. Moreover, the data shows the odds-against-chance ratio is more than 1 billion to 1. When an event is characterized by deep and widespread compassion, the GCP effects are stronger,  which could be explained by the fact that compassion is related to interconnection and positive emotional engagement. When we experience true feelings of compassion, we tend to shift into a more coherent physiological state  and are thus radiating more coherent magnetic waves into the environment. Compassion is an emotional state that brings people together and makes them coherent. We invest a small part of our individual being to connect with others and, as the GCP data indicate, with the global field environment. A study examining GCP data between 1998 and 2008 matched satellite-based interplanetary magnetic field (IMF) polarity with GCP-defined world events such as meditations, celebrations, natural catastrophes or violence. Study results suggested that RNG deviations may depend on a positive IMF polarity coinciding with emotionally significant conditions and/or entropy changes. The CGP has investigated a number of theoretical models that could potentially explain the global effect they are detecting with the network. Finally, a nonlinear dynamic field model proposes that individual minds are mutually interactive, and that the interactions are responsible for an emergent field which depends on individual consciousness but is not reducible to it. The model implies that the dynamic and interactive qualities of consciousness also involve subtle interactions with the physical world and that these are responsible for certain anomalous phenomena such as are found in the GCP experiment. We do not have magnetic data over a long enough period of time to investigate how multiple collective events associated with an outpouring of compassion or other positive collective feelings potentially may affect information that could be contained in the geomagnetic field. One of our goals, however, is to test the hypothesis that large numbers of people in a heart-coherent state and holding a shared intention can encode physiologically patterned and relevant information that is carried by the earth’s energetic and geomagnetic fields. If living systems are indeed interconnected and communicate with each other via such biological and electromagnetic fields, it stands to reason that humans can work together in a co-creative relationship to consciously increase the coherence in the global field environment. Likewise, it also makes sense that the field environment distributes the information it may contain to all living systems within the field. How can we have such an influence on each other at a distance? There are no clear answers yet, but we hypothesize there is a unified field that interacts with and affects consciousness. We also suggest that individually generated coherent waves are more likely to be coupled to the larger collective field environment than waves from states of incoherence. The GCI theory of change is that as a sufficient number of individuals increase their personal coherence, it can lead to increased social coherence (families, teams, organizations), and as increasing numbers of social units (families, schools, communities, etc.) become more coherently aligned, it in turn can lead to increased global coherence, all of which is enabled and advanced through self-reinforcing feedback loops between humanity and the global field environment. This implies that every individual contributes to the global field environment and each person’s attitudes, intentions and emotional experiences count. This is empowering for many individuals who often feel overwhelmed by the current negative predictions and conflicts on the planet. It helps them realize that their actions and intentions can make a difference and that by increasing their own coherence, they can become coherence builders and make a contribution that can help accelerate the shift that many now perceive to be occurring. The personal benefits of better emotion self-regulation, enhanced well-being, more self-responsibility, better health and improved relationships people experience are powerful motivators that reinforce the process for the individual. As more and more individuals become increasingly self-regulated and grow in conscious awareness, the increased individual coherence in turn increases social coherence, which is reflected in increased cooperation and effective cocreative initiatives for the benefit of society and the planet. From our perspective, a shift in consciousness is necessary to achieve new levels of cooperation and collaboration in the kind of innovative problem-solving and intuitive discernment required for addressing our social, environmental and economic problems. In time, increasing global coherence will be indicated by more and more communities, states and countries adopting a more coherent planetary view. An ongoing goal of GCI is to further the study of interconnectedness between humanity and the earth’s energetic systems. GCI conducts research on the mechanisms of how the earth’s fields affect human mental and emotional processes, health outcomes and collective human behavior and explore how collective human emotions and intentions may be carried by the earth’s electromagnetic and energetic fields. Toward these goals, as previously explained, our global network of ultrasensitive magnetic field detectors, specifically designed to measure the magnetic resonances in the earth/ionosphere cavity and resonances and Earth’s geomagnetic field line resonances are being installed at strategic locations around the globe. We are hopeful our efforts will promote and contribute to a deeper understanding of the mechanisms by which human health and behaviors are modulated by the earth’s geomagnetic fields and further clarify which aspects of the field environment mediate the varied and specific effects. Data from the Interconnectedness Study and HRV studies are yielding promising results and add to the body of evidence that humans are affected by planetary energetic fields. GCI hypothesizes that human emotions and consciousness interact with and encode information in planetary energetic fields, including the geomagnetic field, thereby communicating information nonlocally between people at a subconscious level, which, in effect, links all living systems and gives rise to a form of collective consciousness. Thus, a feedback loop exists among all human beings and the earth’s energetic systems. The essence of the hypothesis is that when enough individuals and social groups increase their coherence and utilize it to intentionally create a more coherent standing reference wave in the global field, it will help to lift global consciousness. This can be achieved when an increasing ratio of people move toward more balanced and self-regulated emotions and responses. This in turn can help promote cooperation and collaboration in innovative problem-solving and intuitive discernment for addressing society’s significant social, environmental and economic problems. In time, as more individuals stabilize the global field and families, workplaces and communities, etc., achieve increased social coherence, global coherence will increase. This will be indicated by countries adopting a more coherent planetary view that will lead them to address social and economic oppression, warfare, cultural intolerance, crime and disregard for the environment in more meaningful and successful ways.